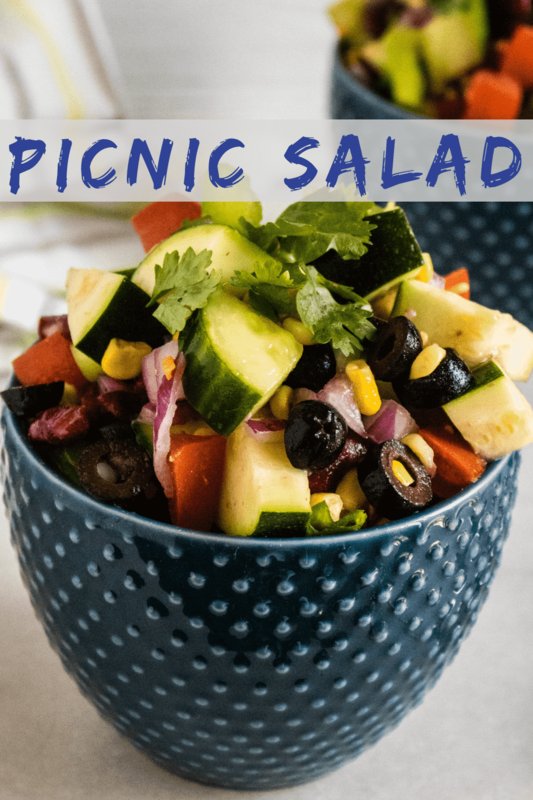 Picnic Salad is ideal for bringing to picnics (of course), barbecues, potucks, and all your football season tailgate parties. And since it’s so quick and so simple to make, it’s also a great side dish for those busy weeknight meals. 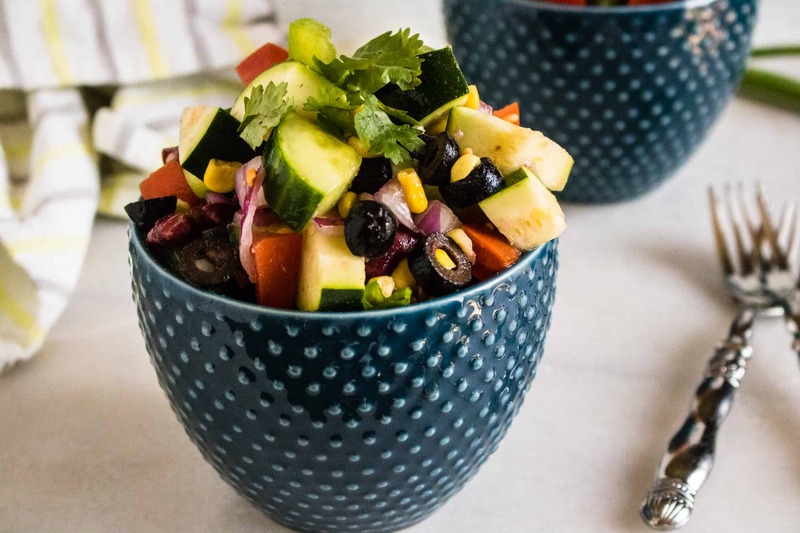 All of the flavors and textures in this Picnic Salad come together with the delicious addition of Catalina dressing. Catalina dressing became very popular in the 1960’s and has been seen in salad dressing aisles ever since. 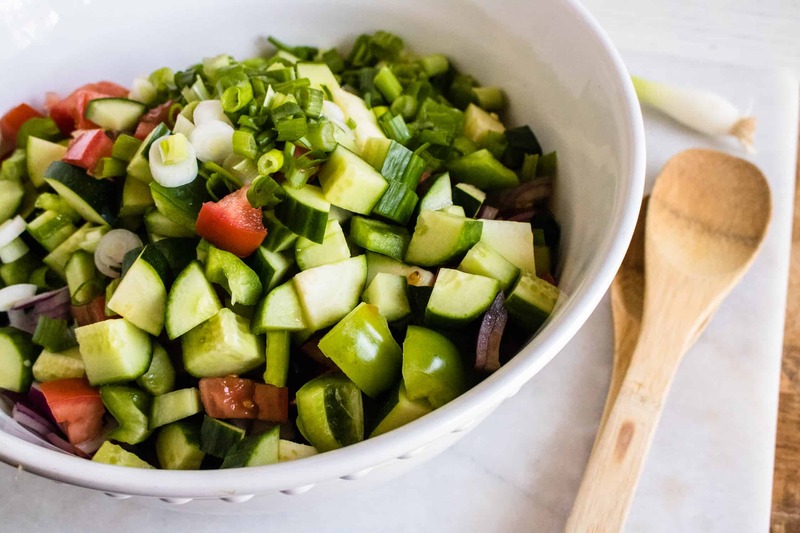 It is made up of a few simple ingredients that when put together make a sweet and slightly sour dressing. Most recipes include: ketchup, sugar, red wine vinegar, onion, paprika, Worcestershire sauce, oil, salt and pepper. What is the Difference Between French Dressing and Catalina Dressing? The term French dressing originally referred to any oil and vinegar based salad dressing. Today, French dressing bought at the store is generally pale orange and creamy, while Catalina dressing is a brighter red color, less creamy, and is described as having more of a tangy flavor. If you’re not a fan of Catalina dressing feel free to substitute your favorite flavor. 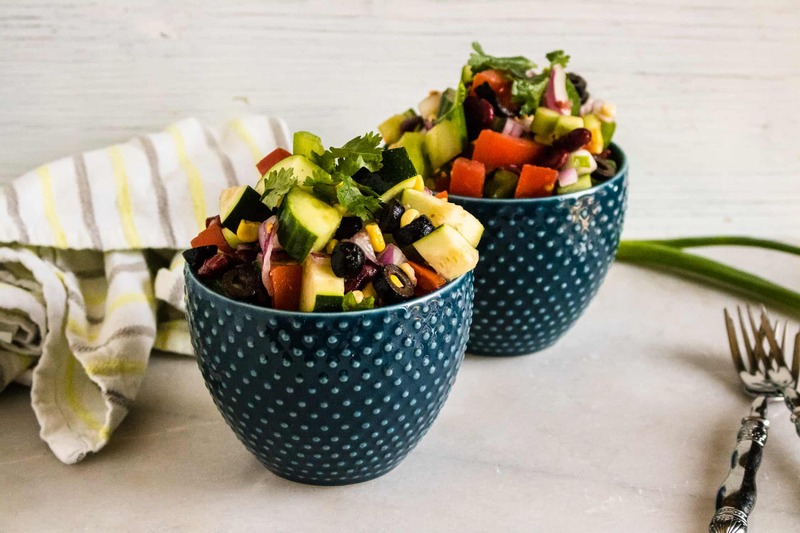 Both French and Italian dressing would complement the vegetables in Picnic Salad perfectly. 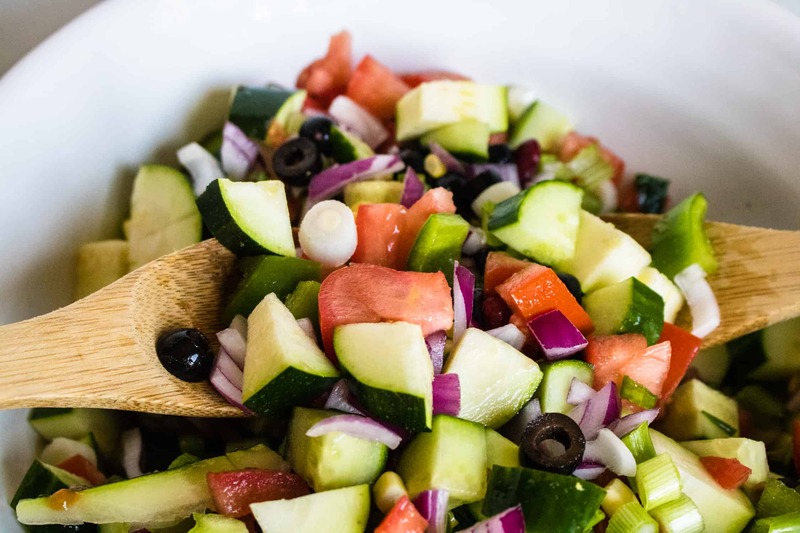 Step #1: Chop the tomatoes, red onions, olives, zucchini and green onions. Step #2: Drain cans of corn, beans and olives and place in a large serving dish. 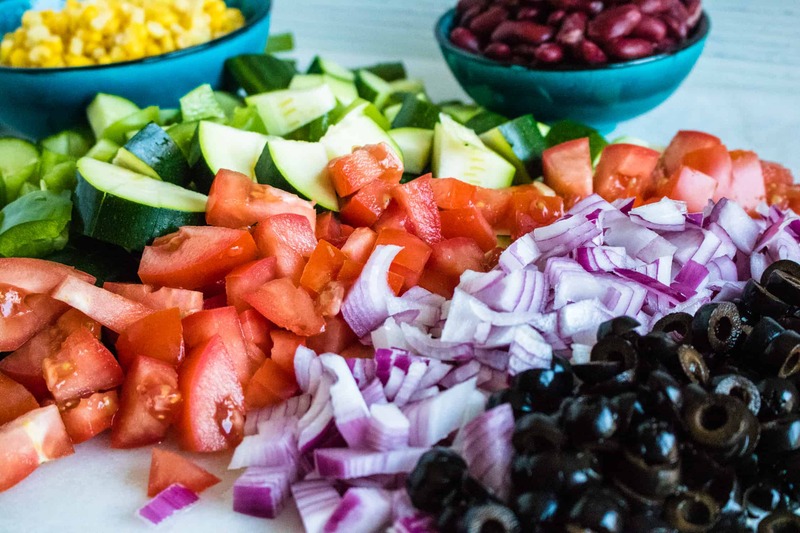 Step #3: Place chopped vegetables in the bowl with corn, beans and olives and toss. Step #4: Pour dressing over the mixture and stir to combine. Step #5: Top with cheese and corn chips and serve. Enjoy! Learn how to make this quick and easy Picnic Salad. Place beans and corn in a large serving dish and toss to combine. Fold in the vegetables. Pour dressing over the mixture and stir to combine. Top with cheese and corn chips and serve.